In 1985, Robert McDonald saved and borrowed from family to buy a truck and operating license in Woodbridge, Ontario. At the start, APPS consisted of 2 trucks and 2 employees. Within 24 months the company had doubled in size and that trend continued for the next several years landing APPS on Canada’s Fastest Growing Companies three times. APPS won an Outstanding Business Achievement Award from The City of Brampton in 2008. From humble beginnings, APPS now has grown to $100 million in sales with 400 employees and operates 200+ trucks out of 6 terminals in Canada. 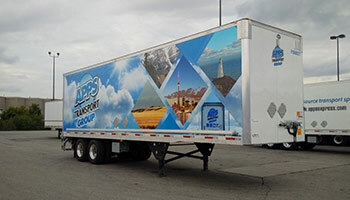 While APPS has grown from a local cartage company to the business we know and love today, it has always maintained its “promise to perform” philosophy. Its knowledge, experience and shared commitment mean customers get a quality service in what is an increasingly demanding marketplace. APPS continues to listen and learn so that it can better understand its customer’s needs and concerns. APPS is committed to carrying out its business in a manner that minimizes harmful impacts of trucking on the environment while making the most efficient use of natural resources. 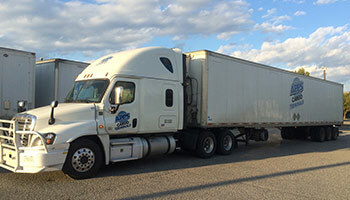 APPS is proud to have been recognized and awarded the 2007 OTA Award for Environmental Stewardship and to have been a finalist for the Globe eco-FREIGHT Transportation Award in 2008. 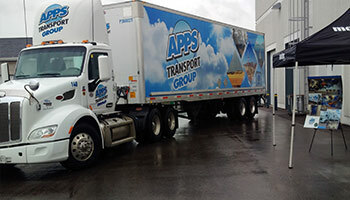 APPS is a SmartWay Transport Partner and continues to lead the industry in sustainable practices. At APPS, road safety is more than a priority – it is engrained in the company culture. Investment in equipment, preventative maintenance and a team effort from drivers has earned APPS the highest rating given by the Ministry of Transportation. In addition, APPS is proud to have the 2010 Ontario Driver of the Year award on the payroll. The company has a long history of community involvement and provides financial support to several community-based organizations including significant donations to schools and hospitals in the Toronto area.